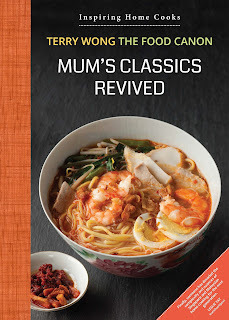 It has been a fascinating journey of trying to recreate my Mum's noodle recipes: Assam Laksa, Penang Prawn Mee, Ipoh Kai See Hor Fun and recently, her version of Mee Jawa. Her laksa still awaits. Auntie Ruby was exceptionally good with noodle dishes. I think her recipes were gathered and improved out of her many years of cooking in canteens, restaurants and hosting parties. She must have known some "makciks", possibly learning from the Malay cooks in the Muslim section of her canteen, as her Malay recipes are "sungguh sedap." While her written recipes are helpful, taste memories played an important part in inching it closer to how she made it. The first batches are always for my family and when they give the thumbs up, I know one of Auntie Ruby's dishes has been recreated. 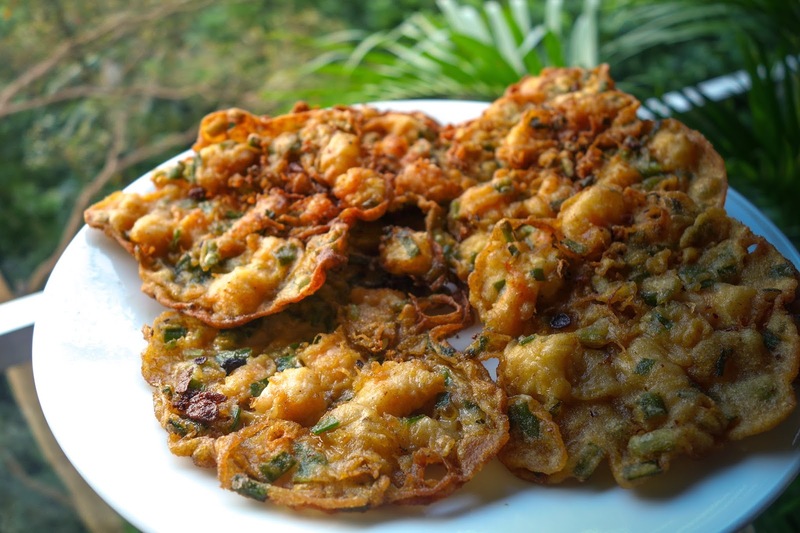 The good thing about noodles dishes is that good culinary skills are less needed, unlike more difficult recipes like curry puff or dim sum. You just need to get comfortable with the many little steps needed. Noodles recipes are inevitably long, including garnishing ingredients and this may put off some cooks. However, once you get into the swing of it, the steps are intuitive. As you can feed many from just one pot of broth, it rewards you with great one-pot party dish. And you can be sure of this: your guests will love and remember the meal. Some of the noodle recipes are certainly not for novice cooks. Some like the Ipoh Kai See Hor Fun is simpler and you may want to start with that first. In fact, as you work on noodle dishes, your gathered experience comes in handy across the board. And so when I worked for the first time on her Mee Rebus recipe, I did not find it difficult to get it right. She served it regularly with the prawn crackers and sambal cuttlefish. It is her prawn crackers which really made her version special. 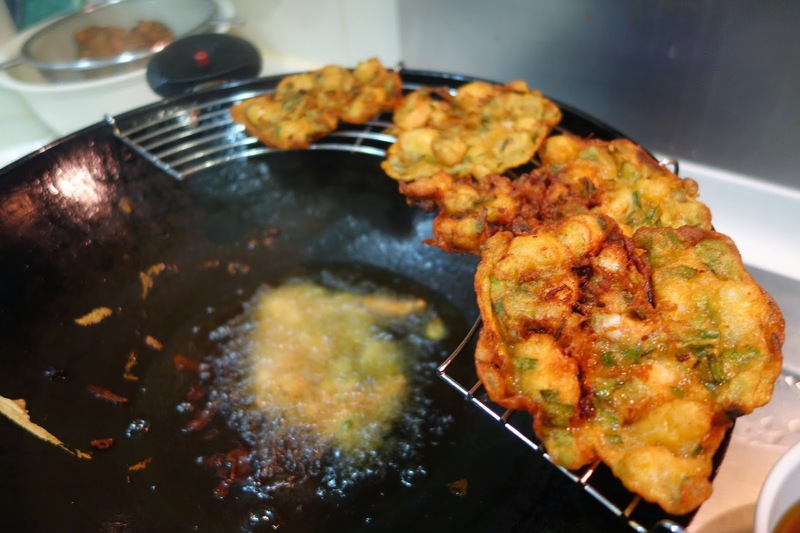 It goes very well with the sauce, adding flavours and a good crunch. She uses dried anchovies (ikan bilis) rather than heh bee (dried shrimps), resulting in a broth which do not have the sharp taste of dried shrimps. I definitely prefer her version over many dried shrimp-based ones. If you are serving a party, you can lay out the sauce (with a heated base) and condiments as a buffet spread. 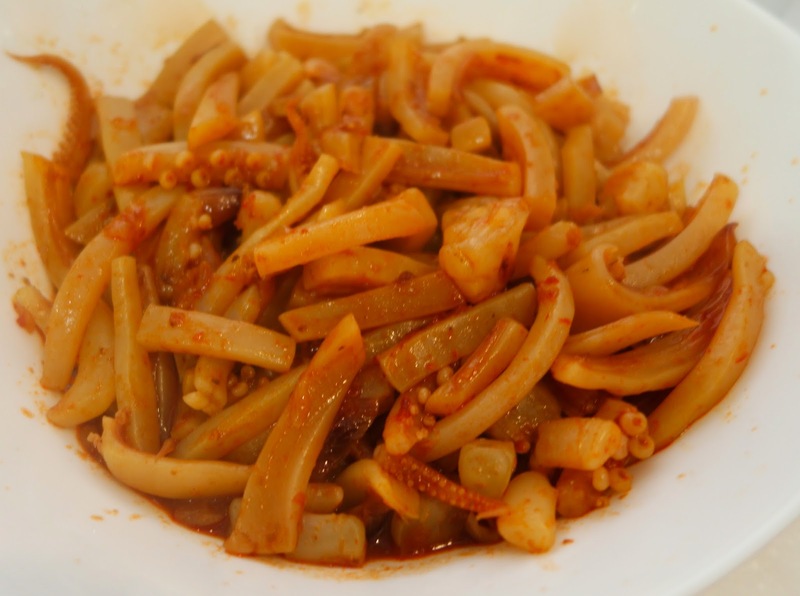 Blanch the mee and bean sprout and pass it to the guest to add their own sauce and condiments. It is not expensive to do this and you can easily feed 20 guests or more using the portion I list in this recipe. 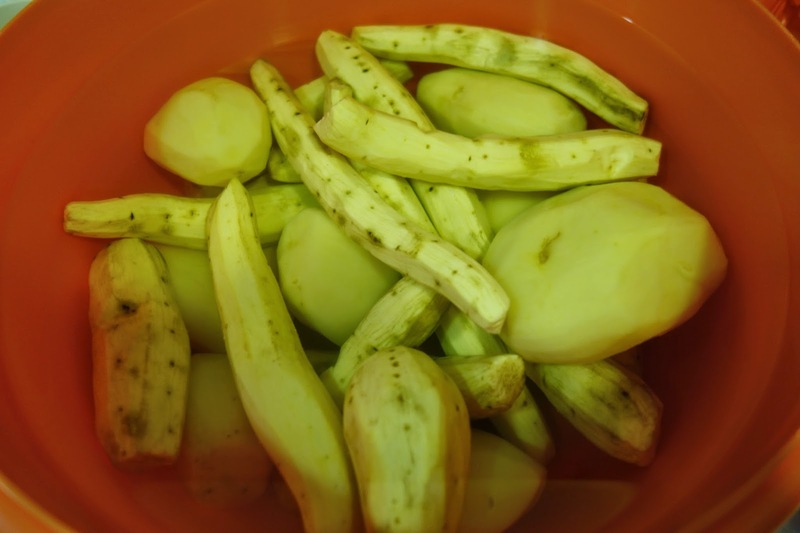 An overview of the recipe is this: Make the potato-based rempah-flavored broth. Prepare the condiments. And then, you put it all together onto a deep plate. My only caution is not to overcook the yellow noodles. 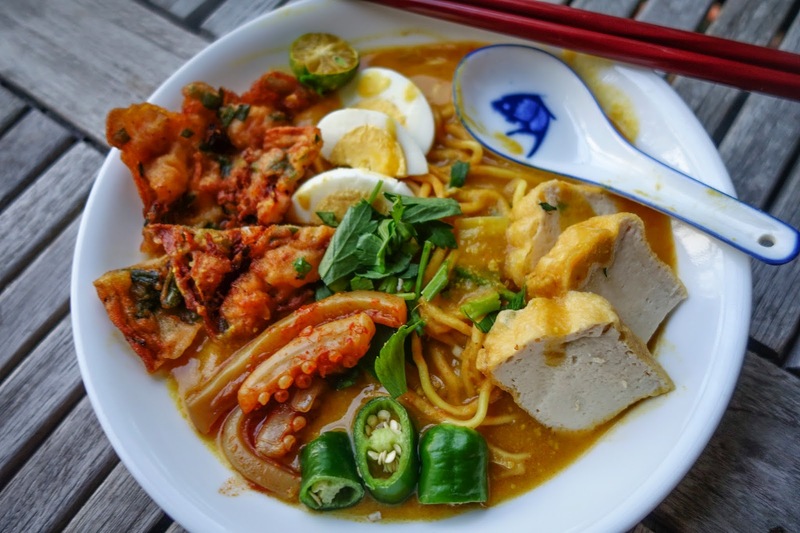 Many a Mee Rebus has been made mediocre because the noodles were too soft. I am sticking fully to my Mum's recipe. You can of course omit some items. As you wish. But don't leave out the prawn cracker! Fill the stock pot half way with water. Add the ikan bills and simmer for 45 minutes. Grind/blend the spices and herbs finely. Add the paste and tomato sauce and fry for about 20 minutes. Grind the peanut finely and add to the soup. Add to the broth (already strained) and simmer till the potato cubes are soft. Use the ratio above as a rough guide. This final phase of finishing off the flavours of the soup requires you to taste and adjust. The soup should be sweet with a salty and sour undertone. 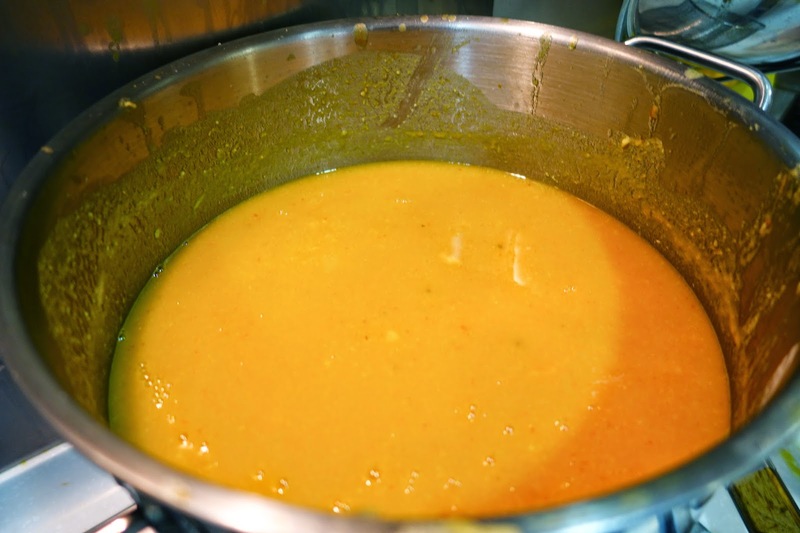 Adding corn flour will thicken the soup but bear in mind that as you simmer the soup, it will thicken. 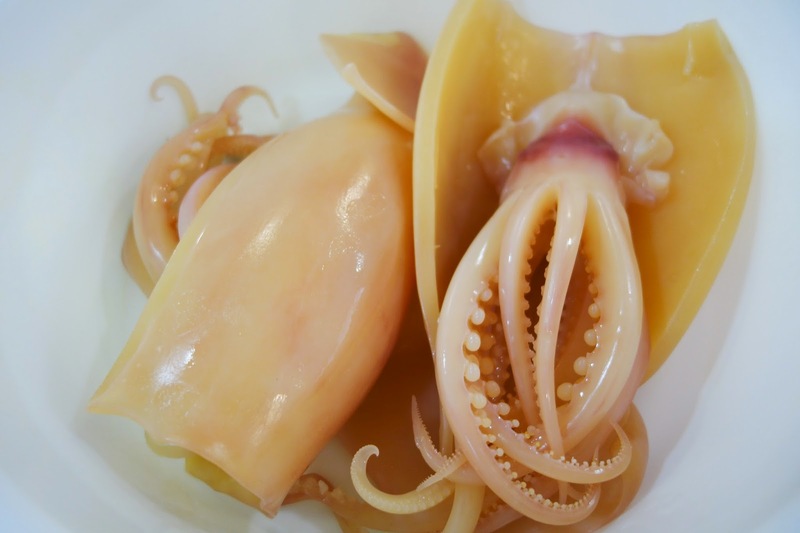 Blanch the cuttlefish for 3 minutes (You can use the simmering broth for this). Heat up the wok and simmer the sliced shallots and chilli paste for 10 minutes. Add the cuttlefish and cook for another 3 minutes or till it is soft enough. 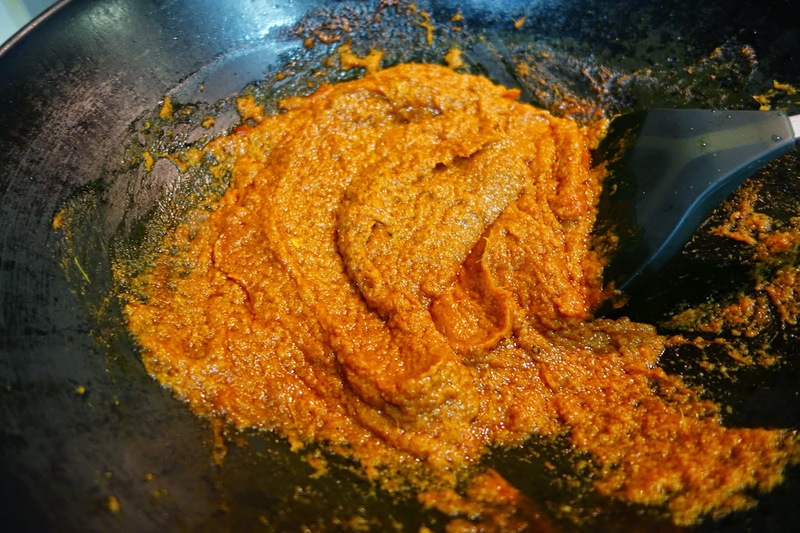 Add water slowly to the flour mixture and mix it into a paste with medium viscosity, akin to a pancake mixture. Add the rest of the ingredients. Some limes (kalamansi) - halved. Slice up 2 large pieces of Tau Kwa. You can also choose to cube it small, for easier eating and better sauce coating. 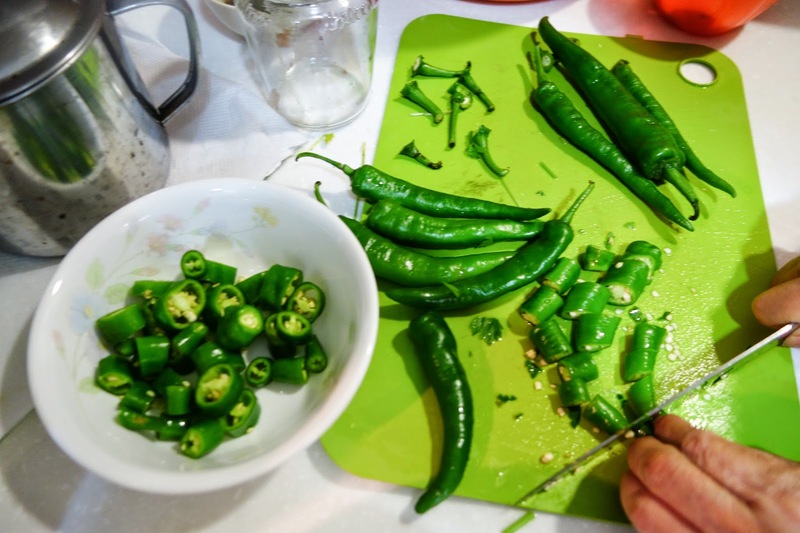 Cut the green chillies into rounds (for the crunch). Chop up some Chinese parley. Don't confuse this with coriander leaves, which are shorter. In fact, Chinese parsley go really well with this dish. Blanch the mee and a generous portion of bean sprouts, plate by plate, in a separate pot of boiling water. Pour in the hot soup. the soup should cover half of the mee. As the yellow mee (wheat) and the potato soup (carbo on carbo) is heavy, it is best to have smaller portions. More bean sprouts is always good for this. And yes, a lot of crunchy green chillies and chopped chinese parsley. I don't think I have eaten Mee Jawa/Rebus as good as this. The flavours, the balance and the different textures. We have my late Mum to thank again. Her recipe was spot on. The last time I ate this must have been more than 8 years ago. It tasted exactly like the ones she made. Eating it was going down memory lane. I will be doing this again, most definitely, for my family and for special parties. I hope you will try it out too. Frying the prawn cracker. I used the shallow oil method. Prawn Crackers - really yummy! Bravo! Fantastic! I gathered the ingredients and made this yesterday -- what wonderful results! 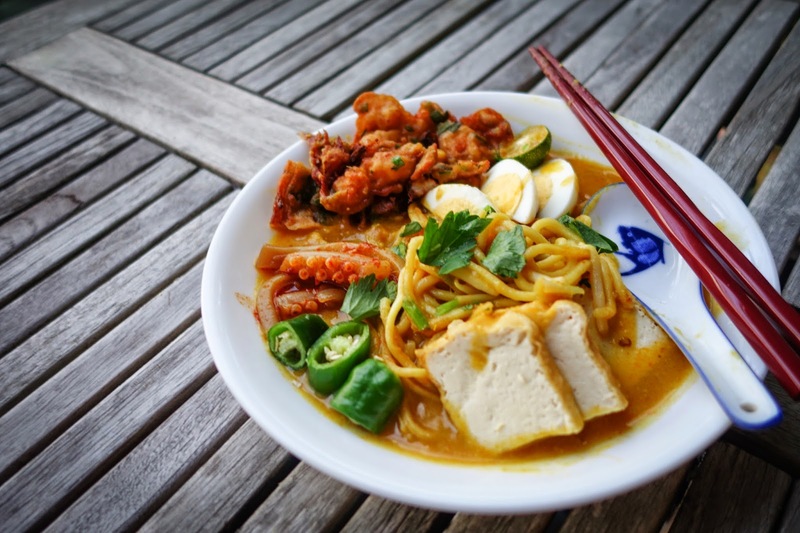 I liked this recipe almost as much as I enjoyed your Hokkien prawn mee; they really are very close for me. 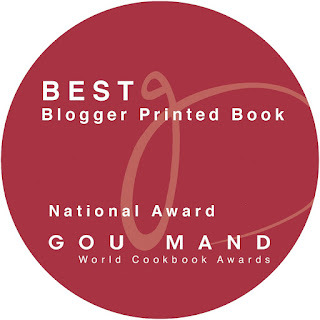 For both of them I valued much the insight and advice how to make a flavorful broth. I have been insisting with my daughter that a good broth is the soul of dishes like these; with results like those that following your advice produce, that statement seems the more truthful. The crackers were truly splendid with this dish; are there other soups that they would accompany well? The crackers is best eaten with a thick sauce, akin to Indian rojak. It can also go with noodles with thick sauce like Lor Mee (omit the curry powder, add in more 5-spice). Wow that looks super yummy, from the sambal sotong to the prawn crackers. I should try those crackers with lor mee as you mentioned. Great idea! It looks amazing, i cant wait to try your recipe. I have few questions. This recipe serves how many bowls? If i halve the recipe would it still taste the same? When u say tomato sauce, is it ketchup? What brands u suggest? Katherine - This recipe can serve 30 bowls. Yes, you can halve it. Any brand of ketchup will do. Or just use canned tomato paste. Don Lam - I will try but the variation in amount will not affect the outcome by much. I will say just use a "small bowl" as is. 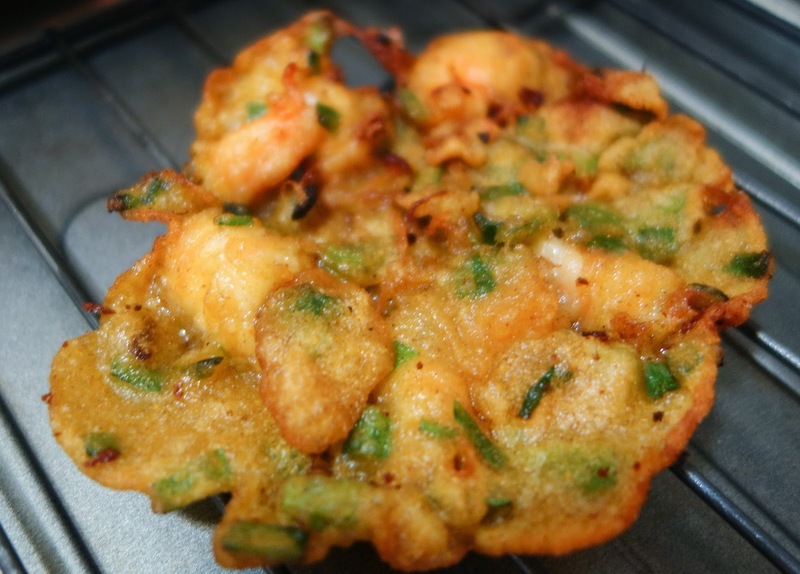 Hi pastor, the prawn fritters are indeed yummy! I didn't make them to eat with mee jawa but as a side dish for dinner.I foresee cooking this many many times! Thanks for sharing! Love all your stories about your mum, can really feel the love in your words. Have been craving for mee rebus/mee jawa lately and thanks for this recipe, a definite weekend favorite for me.